Saks Fifth Avenue, an international luxury department store chain owned by the Hudson’s Bay Company (HBC), recently filled the windows and interiors of its 41 full-line locations in Canada and the U.S. with floral themes, showcasing colourful graphics that were digitally printed onto both sides of display boards and then custom-cut to create standees and bases. The unique graphics were part of the retailer’s ‘Glam Gardens’ annual spring beauty event, which debuted three years ago as a charitable partnership with the New York Botanical Garden and celebrates the chain’s top beauty and fragrance product suppliers. For Glam Gardens 2017, the concept was taken to new heights when more than 550 standees—including design variations measuring 1.5, 1.8 and 2.1 m (5, 6 and 7 ft) tall—were produced by Ignition, a visual communications company based in New York, N.Y., and installed in the stores in April. With respect to graphic design, the client chose this year to complement a black-and-white palette for its striped awnings and display backgrounds with ‘neon’ hues for its floral images. Saks provided a general vision for these graphics at the outset and then Ignition’s own graphic designers worked with floral paintings to develop the digital image files for the standees. Ignition’s creative contacts at Saks reviewed the flower standees throughout the prototyping stage, approving the design concept. “They loved them,” says Kronenberger. The stores’ windows were also filled with themed displays. During this phase of the project, Ignition tested a variety of display boards. In the end, the company selected 13-mm (0.5-in.) thick Gatorplast, which bonds a layer of extruded polystyrene (XPS) foam between two high-impact polystyrene (PS) cap sheets, manufactured by 3A Composites and locally supplied by Laird Plastics. Laird, for its part, recommended the material for the standees because it could be custom-ordered in a specific colour combination, manufactured quickly and shipped directly. Ignition used its Electronics for Imaging (EFI) Vutek GS3250LX Pro ‘hybrid’ ultraviolet-curing (UV-curing) light-emitting diode (LED) press—engineered specifically for the production-level printing of point-of-purchase (POP) graphics—to output double-sided poppy, garden rose and daisy graphics for the standees and grass for the bases. Both the standee and base graphics were direct-printed onto Gatorplast, but the floral standees used the custom version of the board—with a white facer/black foam/white facer colour combination—while the grass-shaped bases used Laird’s standard white version. No surface priming or pre-coating was needed. 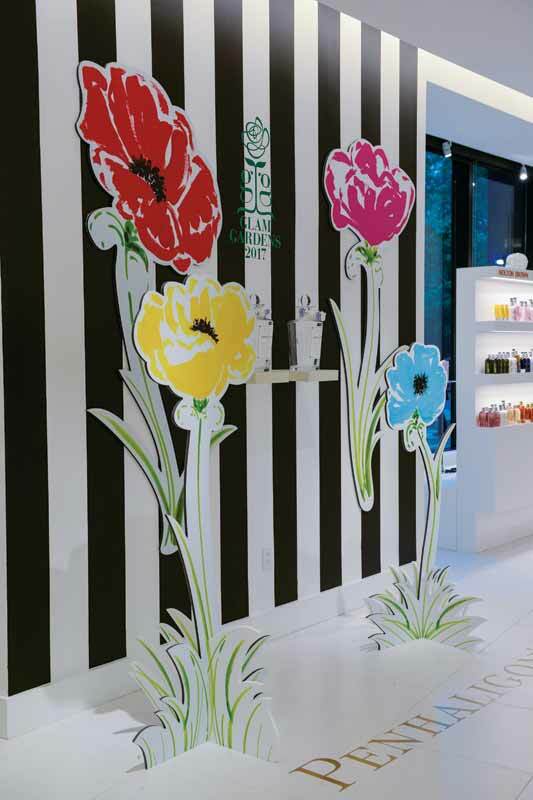 The floral graphics complement Saks’ merchandising displays. 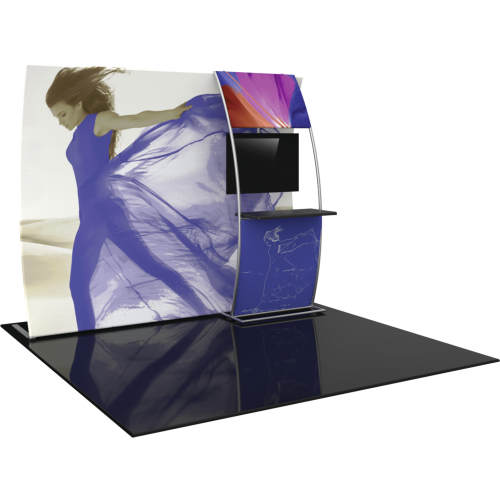 a 3.2-m (10.5-ft) wide Zünd G3 3XL digital system to create the standees. 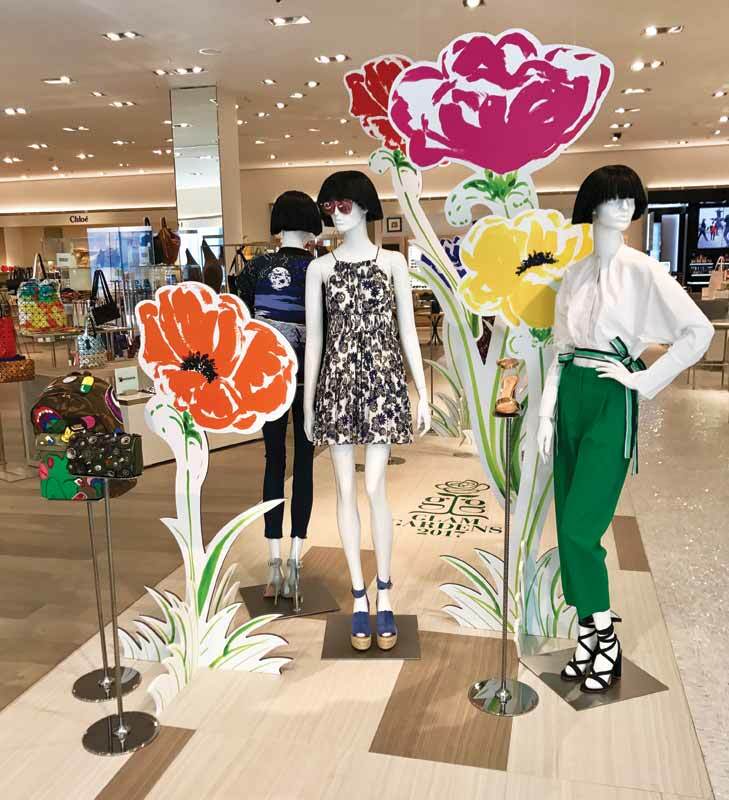 The floral standees were produced and shipped to Saks’ stores for public display in a tight three-week time frame, starting in late March. The creative contacts’ pleased sentiment was echoed to an overwhelming degree in the multiple responses from the individual stores’ visual merchandising managers. With files from 3A Composites and Ignition. For more, visit www.graphicdisplay.com and www.ignitionnyc.com.